Sometimes not all relevant auctions may be shown -- this can happen if the seller has mis-spelt the item title or listed it in the wrong category on eBay. Sometimes unrelated items can be displayed -- usually when items have an ambiguous title or exist in multiple editions. 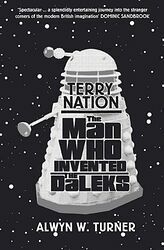 For example, an auction titled simply "Doctor Who and the Daleks" could be a book, video or DVD (and if it's a DVD, it could be the Hartnell or Cushing version). If in doubt, look at the actual auction page for more details of what exactly is being sold. You can also contact the seller directly: scroll to the bottom of the auction page and look for the Ask a question link. If you come across any items where the below list of auctions is incorrect (i.e. majority of the list is the "wrong" item) I'd appreciate if you could let me know via email so I can fix it.